The unique factor of the Singapore-Industry Scholarship (SgIS) – a collaboration between the Singapore Government and market leaders in Singapore’s strategic sectors – is its establishment as the first multi-industry scholarship offered to Singaporeans. SgIS aims to identify and nurture a strong core of Singapore talent with the requisite skills, aptitude and capabilities necessary to ensure Singapore’s continued economic and social progress. 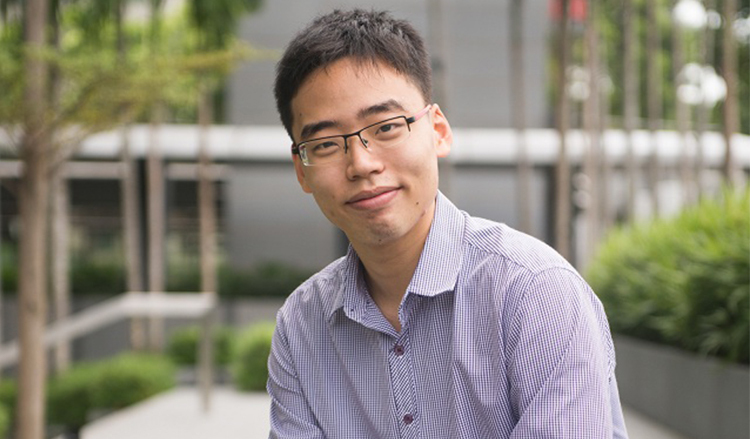 Through its SgIS Scholars’ Development and Engagement Programme, students like Renaissance Engineering Programme undergraduate John Lim are provided with numerous opportunities to build up their competencies through various professional developmental programmes. They will also be given the chance to engage with fellow scholars and sector leaders and gain a career head-start in one of Singapore’s strategic sectors. As a young boy, John had always wanted to play a pivotal role in Singapore’s public transport system. Today, the 22-year-old is well on his way to realise his ambition and is certainly thrilled to receive plentiful opportunities as the first SgIS scholar with SBS Transit, Singapore’s leading bus and rail operator and one of SgIS’ 47 sponsoring organisations. John has also attended two internships with SBS Transit where he gained behind-the-scenes insight into the operations of our public transport system. From handling operating equipment, to having the rare opportunity to tread our railway tracks and even tackling real-world projects, John’s internships have been nothing short of eye-opening. A bright future filled with opportunities to grow and excel in SBS Transit definitely awaits John. With the SgIS Scholars’ Network – a platform where SgIS scholars can learn and share from the experiences of other SgIS scholars – and plenty of internship opportunities, scholars will be able to learn much about their future industries and guide aspiring SgIS scholars as they journey towards the future. EDB Scholar Sim Zhilin shares with us how he enables the progress of the Precision Engineering sector!